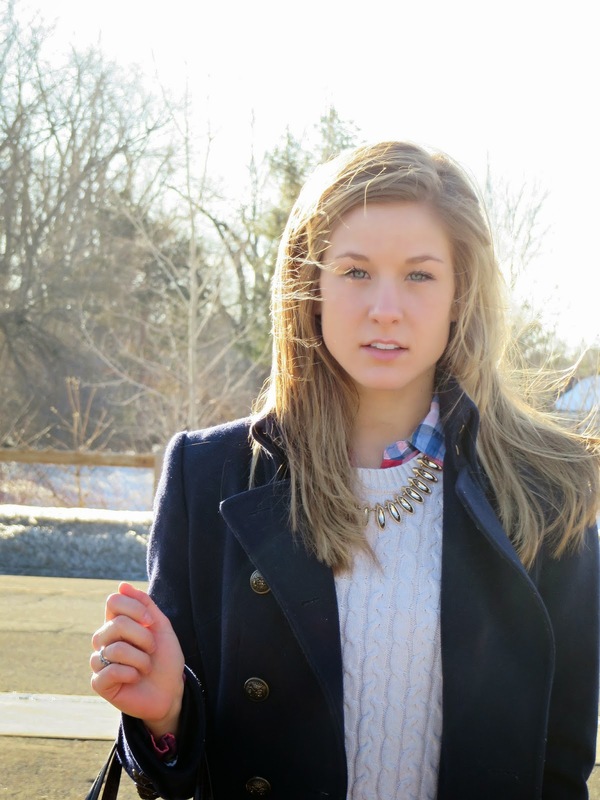 Todays outfit post is totally a go-to style that is simple, easy, and warm for the harsh winter weather! Winters in Michigan are freezing and brutal. 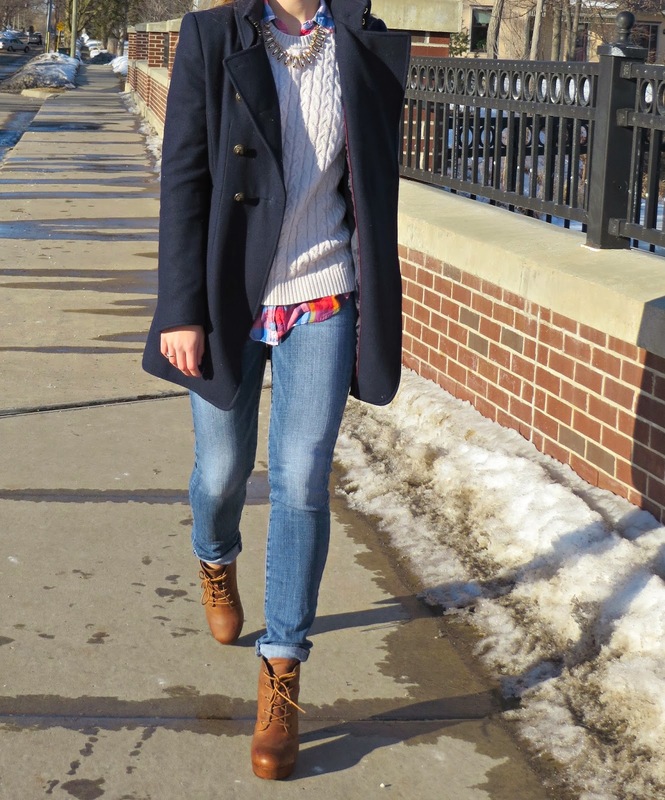 Looking good and staying warm can sometimes conflict, but not when you have some essentials to fall back on! 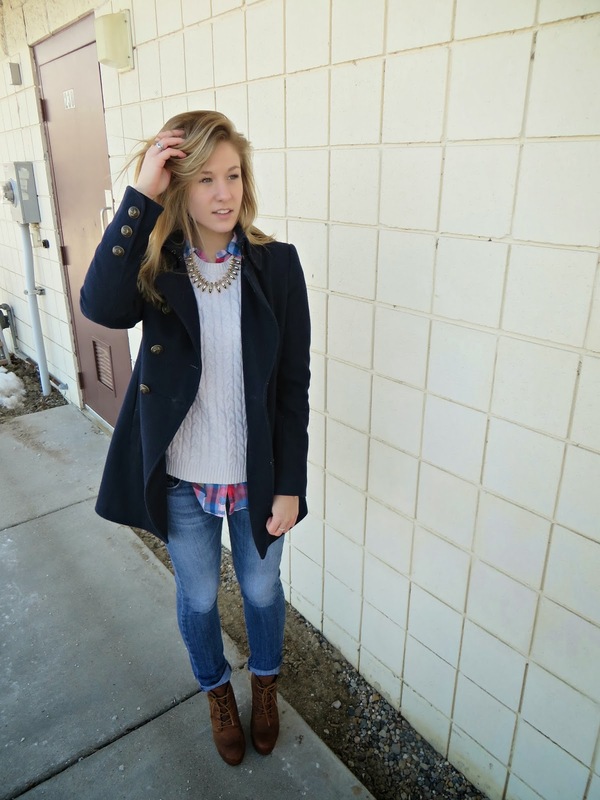 A thick peacoat, flannel, and sweater will for sure keep you warm and comfy! 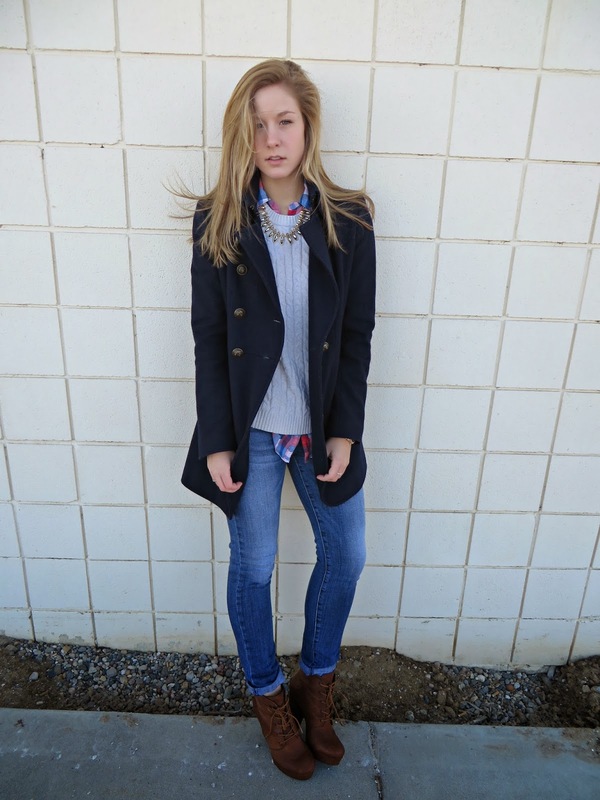 Adding your favorite pants, boots, and accessories will complete the stylish look. 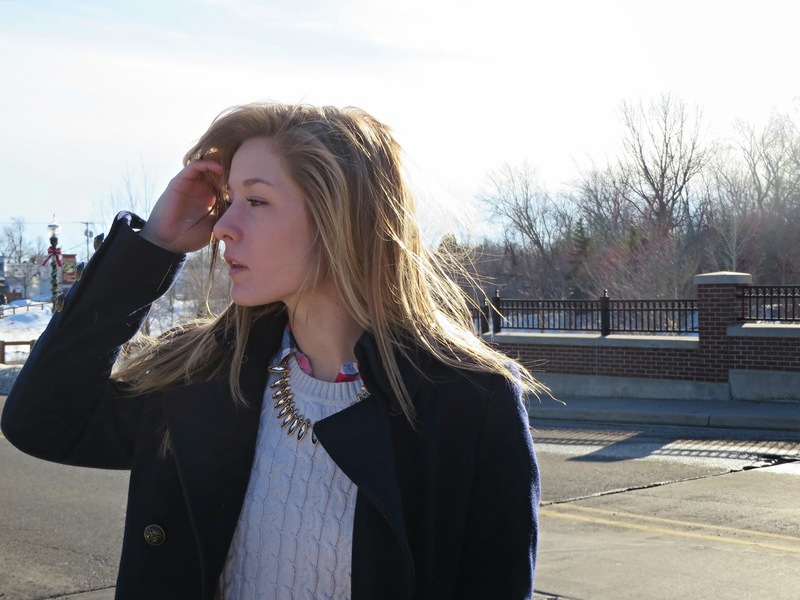 Take a peak at my go-to simple winter outfit! Wendy! Thank you girl, you're so sweet! 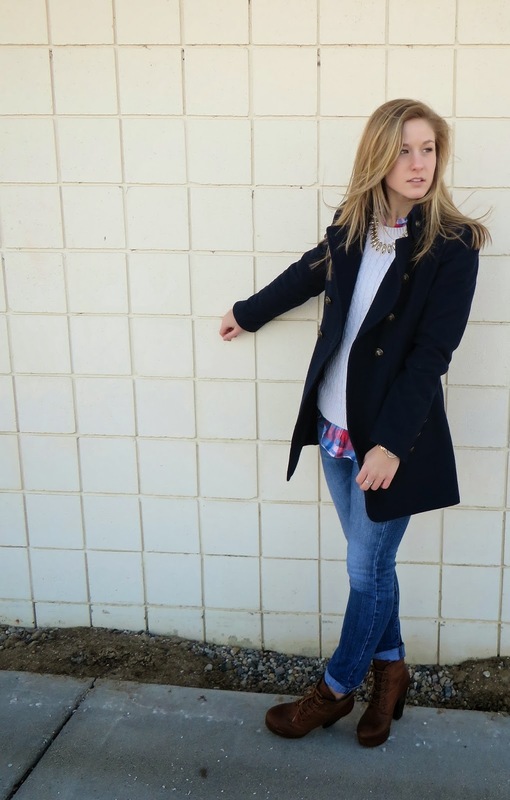 Love this look especially your booties! Now that winter is almost here I would be really interested to get the posts that are meant to be for the winter dressing. You have been the only person that is having great ideas for new dressing.